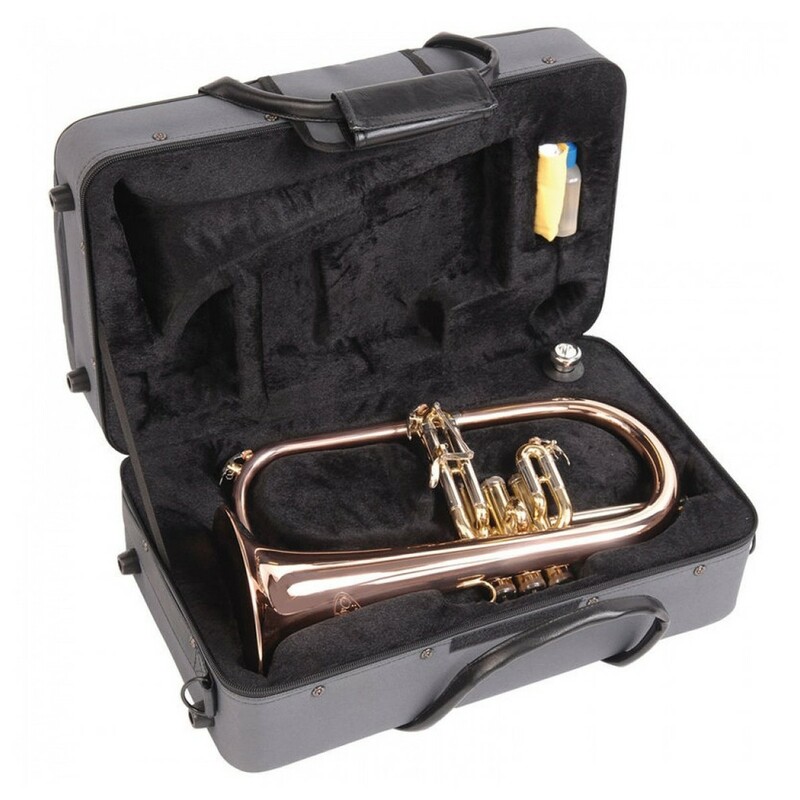 The OFG1300 Premiere Flugel Horn is ideal for the trumpet player that needs to have a flugel on certain occasions. The response and intonation of the Premiere Flugel Horn coupled with high quality materials that have been carefully chosen to enhance the sound and playability of the instrument make this ideal for both experienced players and teachers. 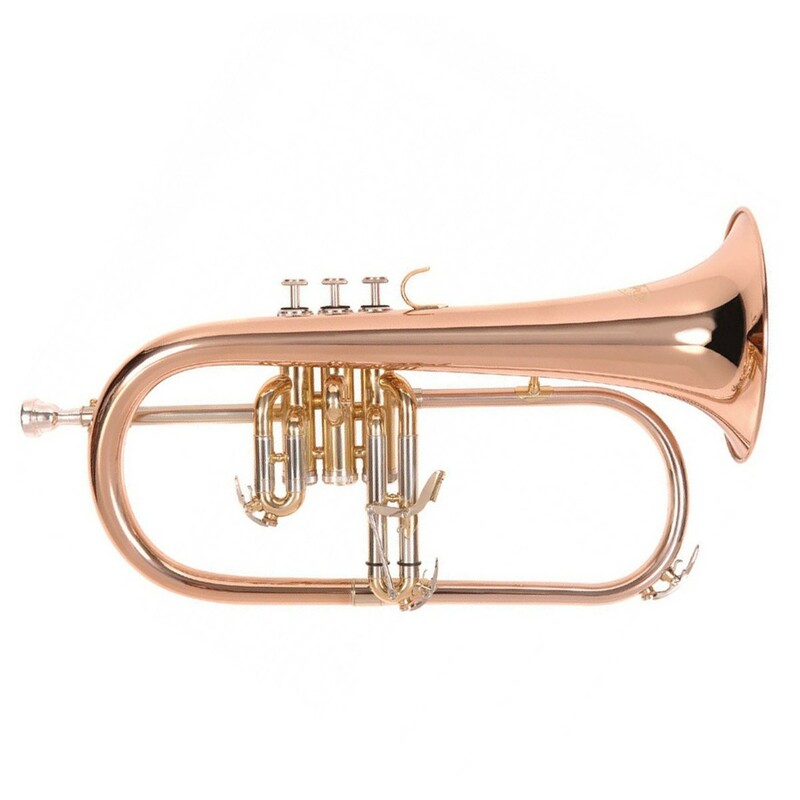 The rose brass bell and lead pipe provides a warm, rich mellow sound. Bell Diameter: 152mm / 6"
Bore Size: 11mm / 0.43"